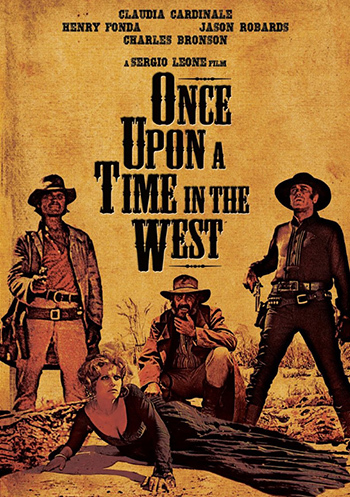 Once Upon a Time in the West – 50th Anniversary! Claudia Cardinale, Henry Fonda, Jason Robards, and Charles Bronson. With each successive film in the “Dollars Trilogy,” which culminated in the classic The Good, the Bad, and the Ugly, director Sergio Leone seemed to be working his way up to something truly masterful. That masterpiece turned out to be this epic saga, starring one of the finest casts ever assembled for a Leone film and featuring many of the usual suspects, including composer Ennio Morricone, at the peak of their talents.